Is It Time To Start Getting The Results You Desire? If you’re not getting the results you desire or deserve, it’s time to change the game. The best and surest path to success is through your mindset – you know this already. But perhaps it’s time to do something about it? This course is an intensive, designed for busy people who want the best return on investment in the quickest and easiest manner available. This is why we have made this course available both live to gain accreditation, and online for ease and price. Each are like no other training you have ever experienced before. You’ll empower your communication and enjoy a personal transformation! Life Coach & NLP Practitioner Training is a learning experience takes you way beyond the ‘listen, take notes, memorise, repeat’ education style we are all familiar with. Instead, we use intentional and purposeful language, anecdotes and loads of practical exercises to inspire you to ‘UnTrain’ your brain of what no longer serves you in your life and re-train your mindset to be set for success. You will weave it into the very fabric of who you are in a personal and unique way that is authentic and true for you, ultimately changing the way you think, feel and act forever. And how incredible would it be to then transfer your new ability and gift onto the people that you love and care about in your life to help them do the same. Life Coach & NLP Practitioner Traininge in the ONE dynamic course! is a course that you will use for the rest of your life, for you, your family and perhaps use these transformational tools as a Coach. Increase Your Charisma by discovering the four styles of communication and improve your language so that everyone can not only understand you but also improve relationships in an instant. Plus you will learn much, much more from Life Coach & NLP Practitioner Training. WORLDWIDE: Online Training Available at greatly reduced prices here. LIVE: Box Hill, Vic. Australia: May 2019, 3-6 & 8-11 – register here. Visit our Training Calendar to Register or call us on 03 8669 1121. Find out about our special payment plans where you can train live from as little as $70 per week or online for even less. Click on the “Enrol” button above or would you like to do this training from anywhere in the world – Online? Our students just love being a part of an ongoing network of support. On completion of the training you can participate in the Life Beyond Limits Coaching Network. Join an existing network or newly created one with your own classmates to further practice your new skills and remove anything further after your training is complete. 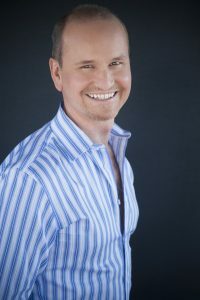 You will learn Life Coach skills AND NLP Practitioner Techniques in the one transformational course! Most life coaches are trained to listen, motivate, inspire and encourage their clients to move beyond their limitations towards success. This is why we love coaches! However many coaches, managers and other practitioners share that some clients revert back to old patterns and behaviours even after a period of success. By gaining the added NLP Practitioner Techniques, you will be able to help to break these patterns once and for all. As mentioned at the beginning, this is not your average classroom training. 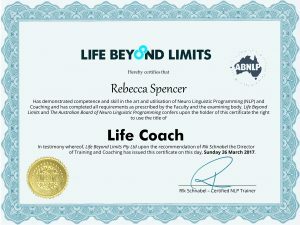 Using NLP Techniques, you will be given the tools to un-learn limiting patterns and behaviours and replace them with more positive patterns and behaviours that you choose for yourself. New students all receive a link or USB containing the Pre-Training Audio files. You can start listening to these right away. They are designed to help you become familiar with the content and new language of NLP and Coaching. Also included are bonus hypnotic meditations to assist you with your ability to learn. The tools you will learn in our Life Coach & NLP Practitioner Training are a must for coaches and key to transforming anyone’s life. Plus you will receive simple templates, business structures and systems to build your very own coaching business if that’s the future for you. The course is an incredible networking opportunity with leaders/movers and shakers from many different industries and sectors all sharing in each others growth. Many of our students have made friends for life. We offer opportunities for students to become licensed NLP coaches and trainers with Life Beyond Limits. In the classroom, R!k manages to create a sense of empathy, equality, ease and trust among our students. He is a role model, without any sense of superiority or judgement. “What a magical experience was the Life Beyond Limits NLP Practitioner Training. It is far superior to any other training I have ever done.” – Anne Mackie, Real Estate Agent, VIC. “My mind was being blown away every hour of the course – Truly amazing!” – Vitale Belokoskov, QLD. “This course has been totally life-changing for me. I enrolled because I found that my existing qualification as a holistic counsellor was missing vital pieces. This course has filled those gaps for me.” – Carly Sinclair, Life Coach and Counsellor, VIC. “Awesome!! A course that will touch your heart so you can find your way.” – Michelle Rupuha, Queensland.